Facebook hired the team from a startup called Eyegroove, a “musical selfie” app. As per the message on the company’s website, the team, who worked on the app, will concentrate on developing musical selfie app for Facebook users. This musical selfie application helps Facebook users to create, share and connect. This is more of an acquihire process, as Facebook didn’t purchase the company, IP or the tech. This means it is more about hiring talents, who can help to develop more creative tools on the site. However, it wouldn’t be a direct answer to music app like Musical.ly. 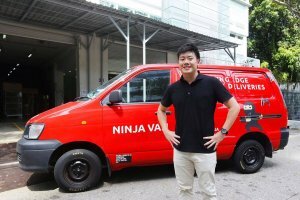 The move comes at a time when Facebook is rising its efforts in the video space with ‘Facebook Live’. The integrations between the social network and MSQRD also announced within the last week. 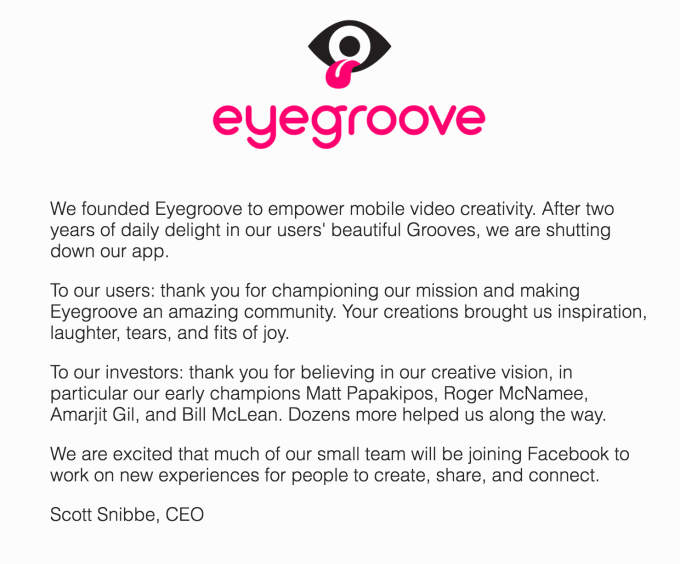 Here is the note from Scott Snibbe, CEO of Eyegroove, that tells that the app is shutting down. He also thanked its users for the “amazing community.” Snibbe also confirms that his team is joining Facebook. Eyegroove was born to be an “Instagram for interactive music.” The app was founded in late 2013 by an interactive media artist Scott Snibbe, who also worked on Bjork’s Biophilia app that acquired by MoMA. Eyegroove worked with the music app, SoundCloud, that allows users to create 19-second videos for any of the songs available on SoundCloud’s service. 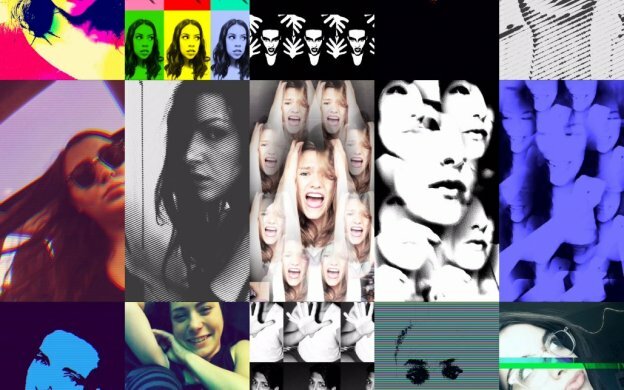 Eyegroove, the world’s first social network for fan created a music video, provides a social networking component to users to share their “Grooves,” special effects like a kaleidoscopic view, for example, or other video filters. This video creating application helps users to make their own HD videos by using their smart device. Eyegroove was dominated by social video selfie apps like Dubsmash and Musical.ly that got $100 million at a $500 million valuation. According to the App Annie’s data, before being removed from iTunes, its last ranking on the app store was low 500’s within the “Music & Video” category. Moreover, it has approximately 250,000 downloads, estimated by Sensor Tower. Eyegroove got funded $3.5 million in seed funding from various angel investors like Roger McNamee, Matt Papakipos, Bill McLean, and Amarjit Gil. Social video best selfie apps like Eyegroove, Dubsmash, and Musical.ly become popular among social network users. 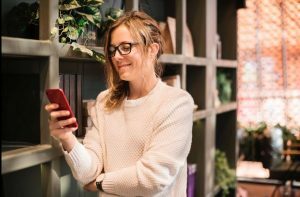 To attract new users and engage existing, Facebook purchased an app like MSQRD and added other features like CameraFeed. 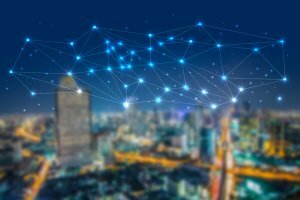 If you have the same appealing idea like Eyegroove, or MSQRD, who knows it might attract popular giants to buy. We have developed many startup’s successful stories so our mobile app developers have an idea how to convert your idea into an app. Do you have a unique Idea? 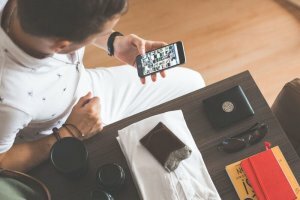 Want to develop an app? Hire android app developer from Space-O Technologies. This page was last edited on May 31st, 2018, at 4:08.